Leave the hard work of tree maintenance to us. T.L.C. 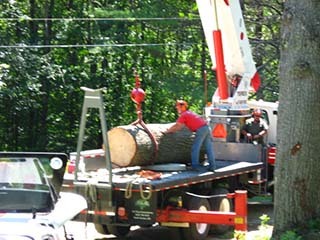 Tree & Crane Service provides complete tree care and specializes in crane tree removal for tough jobs. 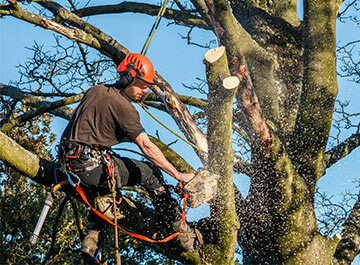 We also utilize climbing skills and aerial rigging to perform tree services safely. 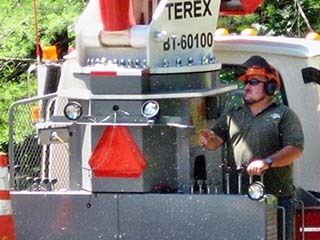 Due to our years of experience and know-how, we have brought the dangers of tree work down to a minimum of risk for our personnel and your property. 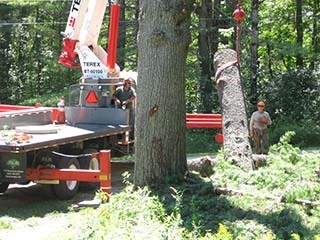 Contact us today for more on our tree care in Grafton County, NH. There are so many variables to consider in our industry. As such, we consult with you to get a clear idea of the services you want and to make sure that we satisfy your needs. 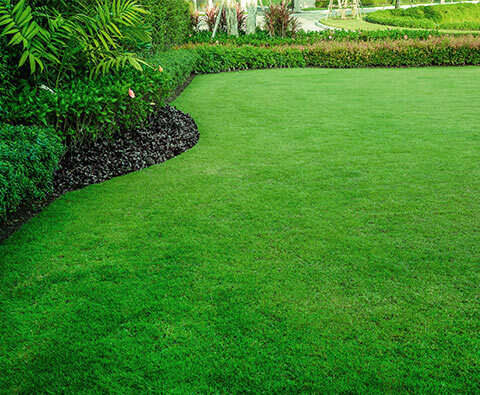 We also visit your location, assess the trees on it, and provide you with a written estimate. This approach is how we make sure that all parties are in agreement before work begins. Tree removal is necessary for safety. The health and condition of a tree is a major factor in whether or not it needs to be removed. We often recommend removal for sick and overgrown trees. Our crew also removes trees with storm damage, including ice, snow, lightning, and more. 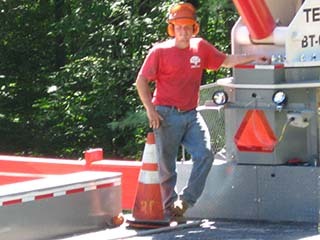 To do an effective job with trees that are difficult to remove, we will use a 20-, 25-, or 50-ton crane.